Apple’s 12-Inch Macbook is a super portable laptop that will exceed your expectations. The smaller, maximized 2 lb frame, is easy to carry with you and work on at a moments notice, even in tight spaces. 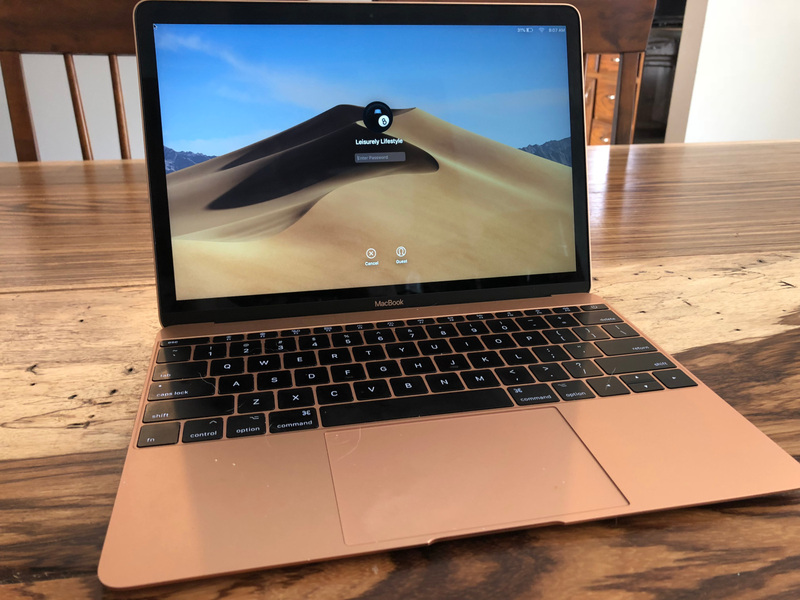 On a whim, frustrated with my 2012 Apple Macbook Pro’s failing hard drive and slowing speeds, I took my conquest onto Google to see what Apple was offering nowadays for a lightweight Macbook Air. What I cam across instead was the shiny, new golden, Macbook 12-Inch. Intrigued I delved into research and learned what I could. The reviews were mixed. 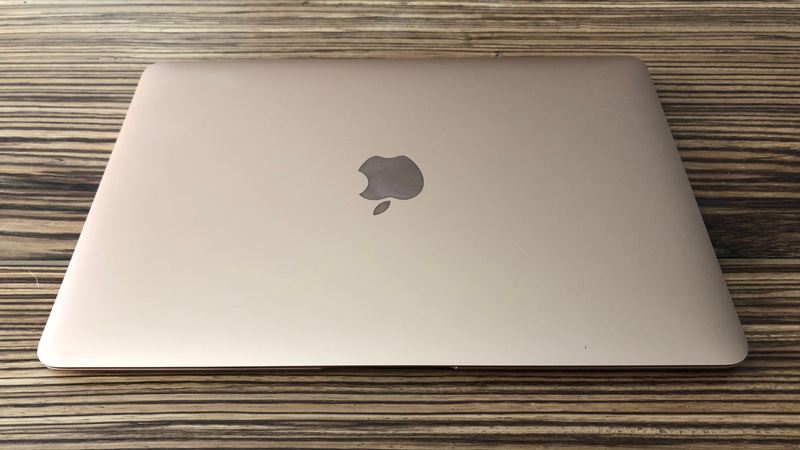 While everyone liked and appreciate Apple’s 12-Inch Macbook, most of the tech guys reviewing them online declared it was silly not to opt for the 13-Inch Macbook Air for similar price, but faster speeds. 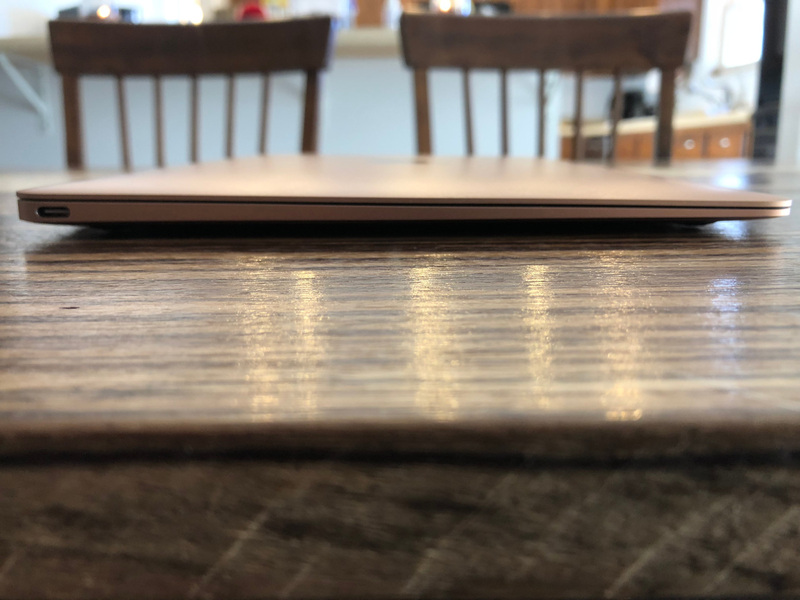 Deep within one of the reviews was an author by trade who loved her new Macbook 12-Inch emphatically because of its sheer portability and delight of use. I was sold. Damn the power of review is strong. 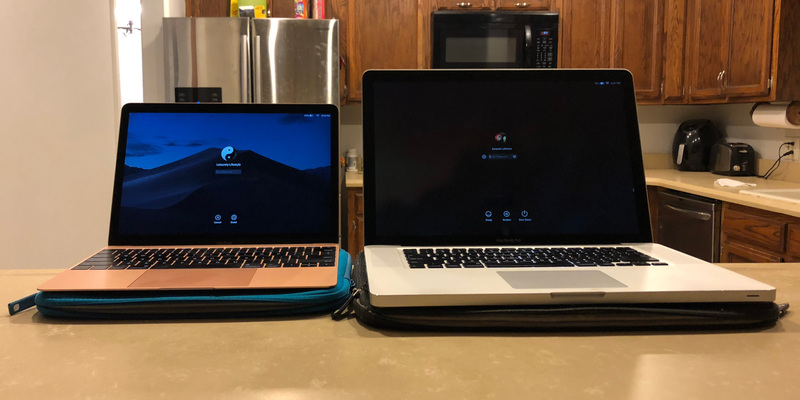 Now it was time to review the different Apple Macbook 12-Inch models, what the testers thought of them, and what the people said in the comments. Which model was best for me? After careful deliberation I went with the 1.4GHz dual-core 7th-generation Intel Core i7 processor, Turbo Boost up to 3.6GHz with 512GB SSD storage for a whopping $$1,749.00. Luckily, a $250 gift card from a previous employer softened the blow. I’ll get into my specific model more later. There are 3 processor speeds: 1.2GHz, 1.3GHz, 1.4Ghz with boosts and 2 hard drive sizes: 256GB SSD storage and 512GB SSD storage. The larger hard drive is only available on the 2 faster processors, so there are 5 main variations. All come default with 8GB 1866MHz LPDDR3 memory and a vivid 12-inch Retina display. You can upgrade to 16GB for $200, which HAS TO BE DONE at time of purchase because the chips are permanently in place. This amount of RAM, 16GB, however is useless at this time of in society, so 8GB is fine. You’d have to be into the most crazy stuff to consider needing it, and then this Macbook would not be for you. This is a pure check-out cart UPSELL by Apple. No shame in their game. Height = 0.14–0.52 inch (0.35–1.31 cm). Here are the available 5 main configurations, out of the 10 total ways you could customize it if you count adding the $200 upgrade for 16GB total. Available in gold, space gray, and silver. My recommendation are options 1 or 4 below, it just depends on your needed hard drive size, 256GB or 512GB. There is no way to get the 1.2 GHz with the larger hard drive from Apple. This eliminates the 1.2 GHz model as an option for me because I filled up my previous 500 GB hard drive, so I’d probably do it again. So for me it was either option 4 or 5 with the 512 GB SSD HD. I did read the different reports on the processor speeds, turbo boost and capabilities. Most deemed the 1.2GHz sufficient, however, the lack of 512GB available hard drive rules that model out.There’s probably not much point to go for the option 5 over 4, so I recommend you get the option 4: 1.3GHz dual-core 7th-generation Intel Core i5 processor Turbo Boost up to 3.2GHz; 8GB RAM, 512 GB SSD HD. I however went with option 5 because I seldom upgrade computers and was so frustrated at the time with my current computer’s lagging speed. At only $150 more than the 1.3GHz model, and because my job is to be on a computer all the time, I went with the top of the line model, minus the unnecessary memory upgrade to 16GB. It’s fast, portable, lightweight, well sized, and the gold color is so shiny. Really the NUMBER #1 REASON I LOVE IT is because of its 2LB 12-inch frame. It’s the perfect companion for any digital marketer, blogger, internet browser, author, probably 90% of laptop users. I’ve used a Microsoft Surface Pro before and way prefer this. The full-size keyword types naturally and comfortably. The batter life is exquisite. The screen is perfect for everything I need, including GIMP or Photoshop. It’s the most productive laptop I’ve ever owned. Because is’s so lightweight, it’s an ACTUAL LAPTOP for me. It has been 7 years since my last laptop purchase, and I consider this an addition to my 2012 15-Inch Macbook Pro, and not a replacement. I actually ordered 8GB RAM and a faster 1TB SSD Hybrid Drive for $140 and will restore the old Macbook Pro. I appreciate the added 15-inch screen size for certain applications, especially Adobe Premier Pro, or when I need to stare at two windows side by side for typing purposes. If I only could have 1 computer, I may had considered the newest Macbook Pro 15-Inch, it’s a beast! 12-Inch Macbook with restored/upgraded 2012 15-Inch Macbook Pro.